There’s an ongoing tug of war between home health care providers and outside nursing home facilities. Both camps have trumpeted their advantages over the other and moved heaven and earth to entice customers to come to either side. One, patronize home health care over an outside health care facility. Two, choose American Safety Options, Inc. among many other home health care providers. The care we give to clients is individualized and delivered with a personal touch. This sets us apart from elder care franchises or registries and even from other home health care agencies. We don’t subscribe to the “one size fits all” policy. Rather we believe in “different folks, different strokes” strategy. We believe that listening and understanding our clients’ situations are very important. Related to the above, we get to know our clients and we assess their specific health conditions. Our care professionals will thoroughly assess the needs of seniors, the level of independence he or she is capable of maintaining and the care home visits preferred by the family. The preferences of the client are placed at the highest of priorities. Our clients are the reason of our existence. Therefore, their choices and inclinations are respected and given proper attention. If you are currently torn between choosing a home health care agency and calling in a nursing home care for you or a loved one, be confused no more. Home health care is the better choice. And among the home health care givers in this part of Pennsylvania, American Safety Options, Inc. is the best choice. Contact us now. If you are from Chester and Delaware counties, please visit us at 18 Campus Blvd. Suite 100, Newtown Square, PA, 19073. For those from Montgomery and Philadelphia counties, drop by at 630 Freedom Business Center, 3rd Floor King of Prussia 19406 and at 1500 Market Street, 12th Floor East Tower Philadelphia, PA 19102. Do call us at (484) 432-3446 or send us a fax message at (484) 840-5307. Our office hours are from 9:30 am to 5 pm, Monday through Friday. Saturdays are on appointment basis only. On Sundays we are closed. But don’t worry, after office hours, our 24/7 on-call system is activated. 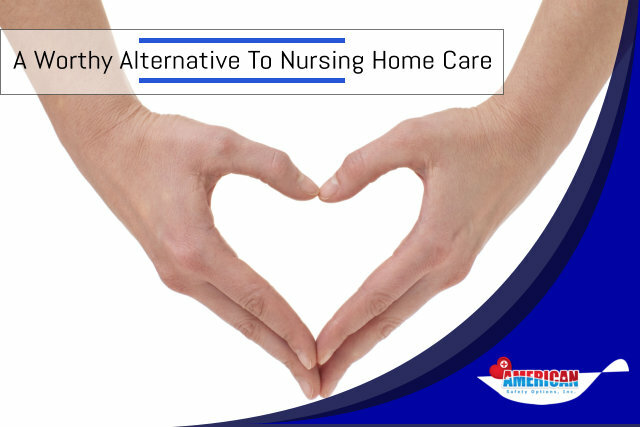 There’s no more need to be confused between choosing a home health care provider or an outside nursing institution. The option is clear. Please join our conversation by posting your comments on the box below.